SAN DIEGO — Another year, another reported expansion. One year after reporting it grew 20 percent, the San Diego Sunroad Boat Show has expanded its upcoming event from Jan. 22 to 25 by 10 percent, according to organizers. 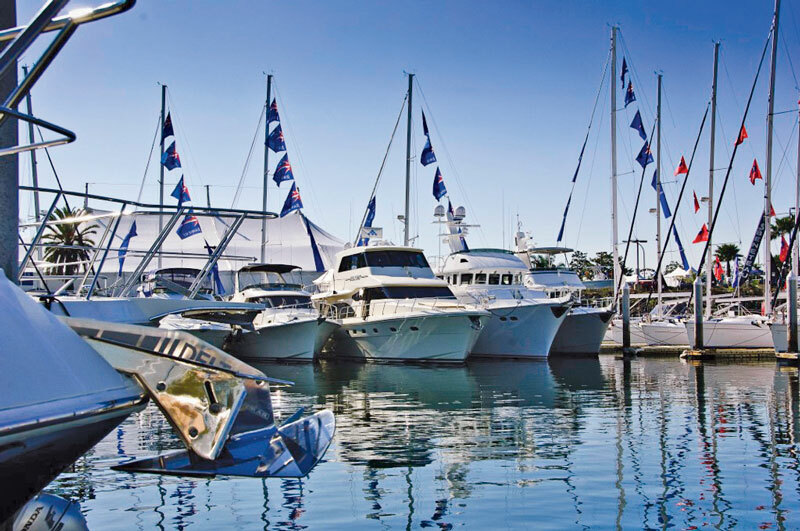 Hosted by Sunroad Resort Marina, the four-day boat show in San Diego Bay continues its annual tradition and features many land and in-water exhibits catering to boaters of all ages. Boats ranging from 30 to 110 feet will be on display at the boat show, complementing a schedule of more than 100 tours of new and pre-cruised sailboats or motor yachts. Marine vendors are also expected to be at the boat show, sharing with attendees the latest nautical gadgets and services. Other products on display at the San Diego Sunroad Boat Show include kayaks and inflatable boats. Interactive seminars are also on the docket. Attendees will be able to discuss a variety of topics at these seminars, including skills training and guides on boating in Mexico. Free boat rides in San Diego Bay will also be offered. Also available at the boat show will be food and local entertainment. “We’ll have the brands and companies you’ve come to know and love, as well as new marine services and products, free boating seminars, boat rides, local music, libations and more,” said Jim Behun, director of the San Diego Sunroad Boat Show. Held annually downtown at Sunroad Marina, the Sunroad Boat Show starts Thursday, Jan. 22, at noon and runs until 6 p.m. The boat show continues Friday, Jan. 23, from noon to 6 p.m., and continues into the weekend Saturday, Jan. 24 (10 a.m. to 6 p.m.) and Sunday, Jan. 25 (10 a.m. to 6 p.m.). Sunroad Marina is at 955 Harbor Island in San Diego. General parking is located at the corner of Harbor Drive and Harbor Island Drive. Entrance fees are $12 for adults and free for children age 12 or younger. Military, EMTs, police and fire personnel are admitted free Jan. 22 and Jan. 23 with valid identification. For more show information, call (619) 497-5254 or visit bigbayboatshow.com.